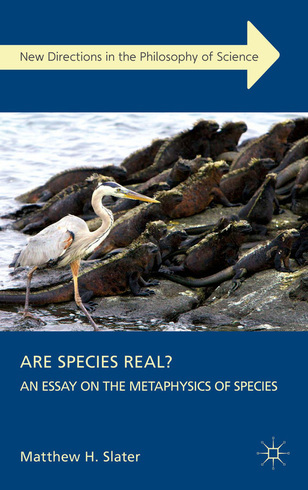 This chapter will introduce the title question, briefly surveying the some inferential and explanatory uses species play in modern science and spelling out the prima facie case for realism about species. I sketch the basic positions philosophers have taken on how to understand species’ reality and sketch the argument of the book. This chapter surveys different philosophical approaches to the general notion that our classification schemes aim and succeed in accurately describing the world. I introduce the notion of a natural kind as traditionally understood and describe how Kripke and Putnam attempted to reinvigorate the notion of an essence, describing the various empirical and philosophical worries their version of essentialism faces. I begin this chapter by explaining in more detail why essentialist views of natural kinds appear to be unable to accommodate facts about species. Recently, however, essentialism has been going through something of a rebirth. A first rebirth (propelled by Griffiths  and Okasha ) suggested that species might have historical essences; a second rebirth at the hands of both philosophers and biologist enthusiasts of “genetic fingerprinting” maintained the idea that species have intrinsic essences. I argue that none of these novel forms of essentialism are plausible. The chapter concludes with a discussion of the Species Problem and the pluralist response to it. Inspired by the apparent failings of essentialism and concern over taxonomic pluralism, some biologists and philosophers proposed a “radial solution to the species problem”: that they are individuals — literally, spatiotemporally extended objects, “hunks of the genealogical nexus”. Bolstered by the burgeoning consensus for historical approaches to taxonomy, proponents of the “Species-as-Individuals” (SAI) thesis argue that it makes sense of our pre-theoretic realism and anti-essentialism about species. Likewise, they argue, pluralism can be set aside as a purely epistemic artifact. Unfortunately, proponents of SAI have conspicuously failed to establish their thesis, either begging the question against deniers of SAI or taking as explananda contentious theses. This chapter critiques both the early (Ghiselin 1974, Hull 1978) and recent arguments for SAI (Coleman and Wiley 2001, Brogaard 2004, Crane 2004, Ereshefsky 2001, 2007, Richards 2010). These worries notwithstanding, the Species-as-Individuals thesis might still be true. Indeed, many philosophers of biology seem to have adopted a conciliatory approach to the issue, regarding the metaphysical question as “biologically neutral”. This, I argue, is the wrong approach. In this chapter, I explore what metaphysical concessions one would have to make in order to accept SAI, arguing that developments in metaphysics over the last twenty years strongly legislate against SAI. In the wake of the failure of biological essentialism and individualism, realism about species may appear doomed. I articulate a deflationary stance on species-reference, leveraging recent work on plural referring terms and non-distributive plural predication. Species, on this view, need be neither classes nor individuals in order for us to speak truly of them. The position articulated in Chapter 5 appears at first glance to be a strongly anti-realist position about species — and in a way it is. Building on Boyd’s Homeostatic Property Cluster (HPC) account of natural kinds, this chapter describes an alternative approach to natural kinds. Two novel features of the this account stand out: first, it treats treats “natural kindness” as a sort of status that various things or collections of things can possess; second, it moves away from causal homeostatic mechanisms at the core of the HPC view in favor of a more flexible conception of stability. Accordingly, I call the account the “Stable Property Cluster” (SPC) approach. The chapter describes ways in which the SPC account both accommodates realist intuitions about species taxa and ameliorates theoretical and application problems facing the HPC account. Because I do not construe the SPC account as describing an ontological category, I am free to take a piecemeal approach to species. Some species taxa, I claim, exhibit “natural kindness” and thus are apt to play certain characteristic inferential and explanatory roles. The final chapter takes up the question of pluralism in more detail. The SPC account’s flexibility invites a robust kind of pluralism than has been previously advocated. This raises a tricky question: Can a minimalist, pluralist view of species count as realism about species? A frustrating “yes and no” answer seems inevitable. Rather than attempt to parlay the SPC account of biological taxa into one of the slippery realist/antirealist categories, I argue for a comparative claim: species are as real as many other significant scientific categories. Insofar as the SPC approach to natural kinds explains the role of biological kinds in explanation and induction, it offers a sense in which our pre-theoretic intuitions about the reality of species are correct.